This image was first shown in the 1999 Governor's Invitational Show in Loveland, Colorado. 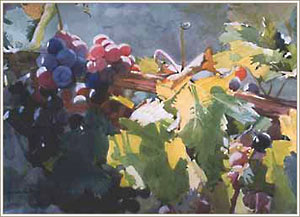 It portrays the light filtering through a muscat grape vine. It is late afternoon light when the sun just plays through the grapevine.